I decided at the last minute that I wanted to make some treats to hand out to Gabrielle and Alaina's classmates on Monday. I didn't want to do candy - I know they'll be getting plenty of that! - and since we're still in our rental apartment, I didn't have any of my baking stuff. 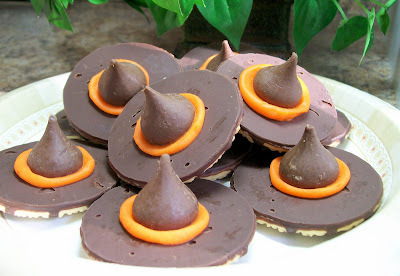 I needed something simple but still scarily fun, so I went with Witches Hat cookies I so over on Explore Dream Discover. All you need are fudge stripe cookies (I used the supermarket brand), Hershey's kisses (if you're a Kiss connoisseur, you probably noticed I went with the caramel ones - yes, I'm sassy like that!) and orange frosting (I bought mine in the baking aisle). And press it over the hole in the cookie and you have a Witch's Hat! It doesn't get much simpler than that! Then I wrapped them in clear cellophane, tied them with a ribbon and added a little tag that reads "THANKS FOR BEING A WICKED GOOD FRIEND!" So what do these cookies have to do with FREEBIE FRIDAY? Good question! I figured there are probably other mamas out there making last minute treats for their kid's classes this weekend, so I'm offering the labels I designed as a free download! 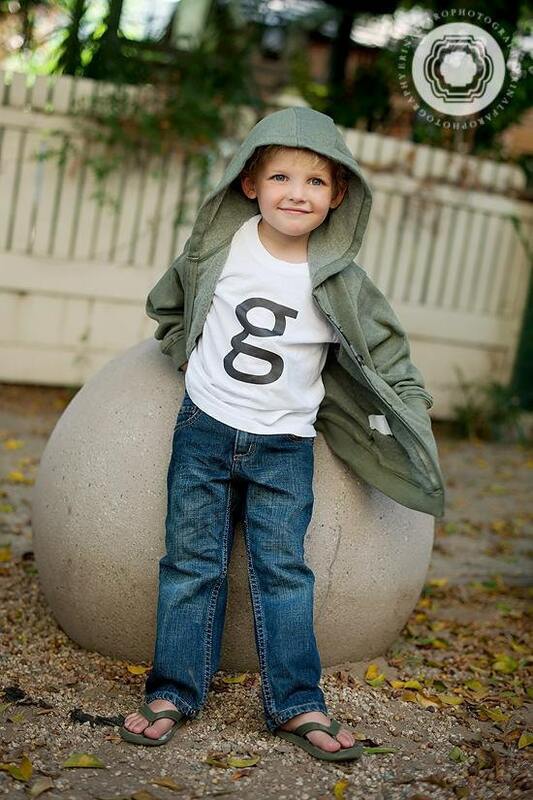 You can write your child's name in or import the file into Photoshop or upload it to Picnik.com and add it there. They're formatted for a 2-inch punch, or you can cut them out too. If you have any issues downloading them above, you can go HERE. Hope you enjoy them and for more fab freebies, check out my Haunted Halloween and Freebies and Printables Boards on Pinterest! 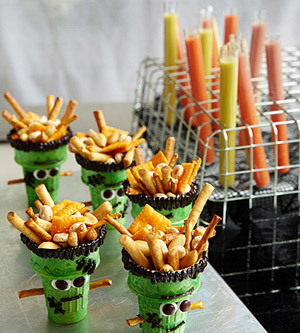 These sand-witches from Lisa Storms are a less-scary great way to serve up some Halloween fun. And last but not least - it doesn't get easier than this Boo-ghetti from Jeanne Bennedict. 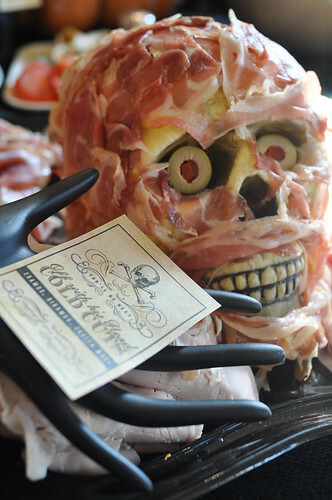 Find more crazy ways to cook up some creepiness over on Parents Connect, and while you're there, be sure to answer their daily question to be entered to win a $100 gift card to Halloween Express. 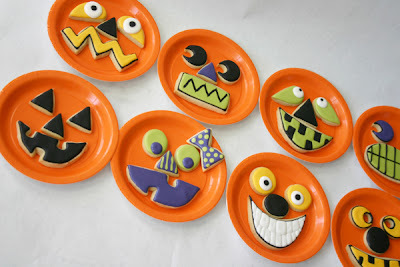 Today is Creepy Cookie Day on the Spooktacular Countdown at Nickelodeon's Parents Connect, and I'm sharing terrific tricks for making some tasty treats from The Sweet Adventures of Sugarbelle, Better Homes & Garden, How Does She?, Martha Stewart and more! And here's one more you won't want to miss. 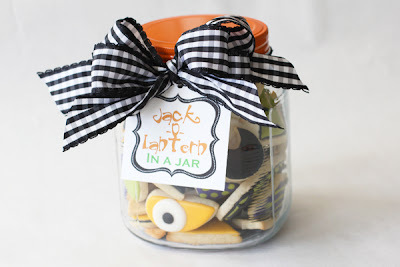 Ashleigh from Bee In Our Bonnet shared this fabulous idea for a Jack-o-Lantern in a Jar on The Girls from Eighteen25. That can be used to make jack-o-lanterns. Check out the rest of the cookie goodness over on Parents Connect, and while you're there, be sure to answer their daily question to be entered to win a $100 gift card to Halloween Express. It's Day 3 of the Spooktacular Countdown at Nickelodeon's Parents Connect, and you won't want to miss today's post because I've got a round up of 11 frightfully fun free Halloween printables from Anders Ruff, eighteen25, Living Locurto, The Crafting Chicks, Centsational Girl and more! 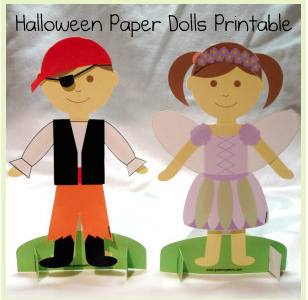 And here's one more goodie I know you'll love - printable Halloween paper dolls from Gwenny Penny over on The Idea Room. Check out the rest of the treats over on Parents Connect, and while you're there, be sure to answer their daily question to be entered to win a $100 gift card to Halloween Express. 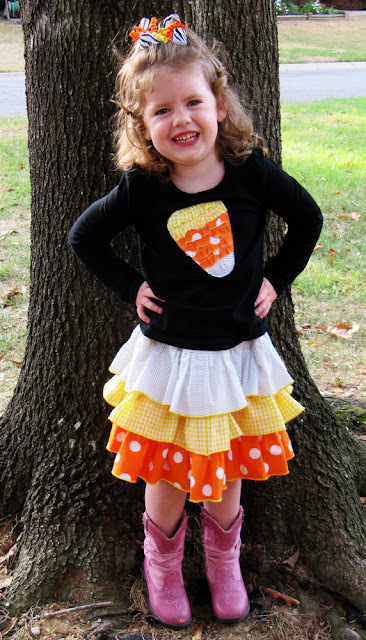 Here's my round up of a few of my favorite ideas for Halloween. Food for the Kiddos I'm Loving: This spooky spider sandwich from Cute Food For Kids. 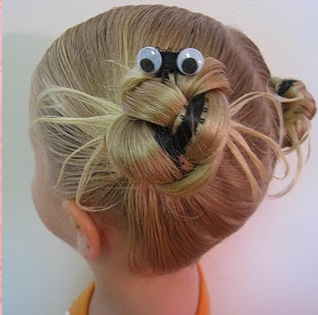 Hair 'Do I'm Loving: Seeing this cuteness from Babes in Hairland made me so glad I have girls. Now if I can just get the two of them to sit still long enough to do it. 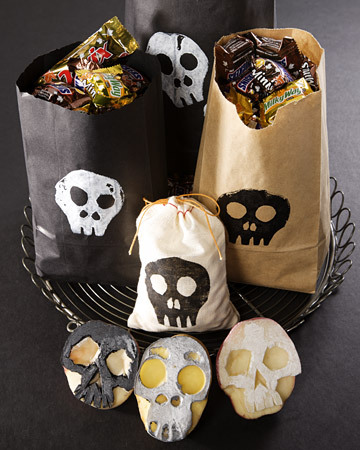 Craft Project I'm Loving: Who else but Martha Stewart would think of making skeleton stamps from potatoes? She's even got a template so making yours will be a snap! Free Printable I'm Loving: Design.wash.rinse.repeat designed these frightfully fun food labels. Use them if you dare! Scary Snack I'm Loving: What could be more fun than these Frank's Nuts-n-Bolts? 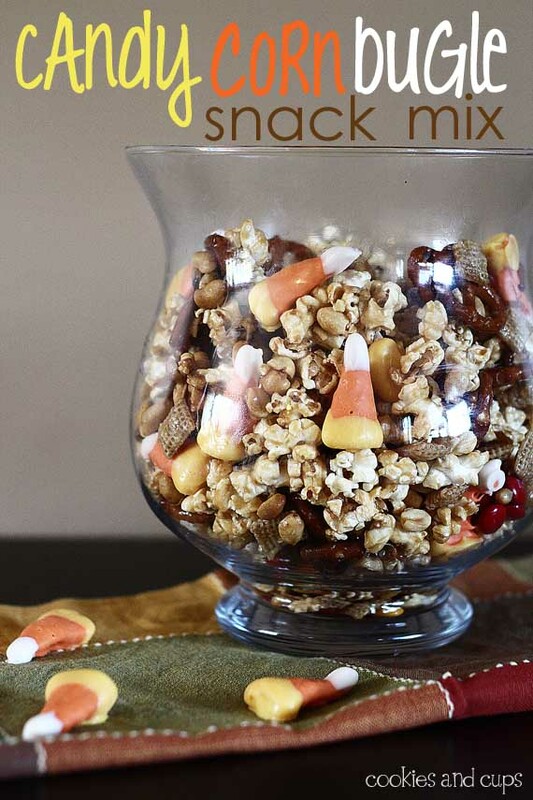 Sweet 'N Salty Tricky Treat I'm Loving: Cookies & Cups has my mouth watering with this Candy Corn Bugle Snack Mix. And yes - those candy corn in the picture are actually chocolate covered Bugles. Y-U-M! Cute Candy Corn Project I'm Loving: Speaking of the tasty treat, how adorable is this outfit from Positively Splendid? And it's so easy to DIY! Boo-tiful Beverage I'm Loving: Who says Halloween is just for the kiddies? This haunting Hallow-Rita from Lime Tree Cove is my kind of treat! Crazy Cute Costume I'm Loving: This little lobster is so cute, I could eat him up! Halloween Decoration I'm Loving: The Holiday Snobs came up with a witch-tastic way to welcome trick-or-treaters! And it's so easy to do. I would love to hear about the things you're loving right now! Share the app, movie, book, craft idea, TV show, whatever that's got you giddy in the comments and your picks might be included in next week's TEN ON TUESDAY feature. And for more of my Halloween picks, check out my Haunted Halloween board on Pinterest and my Spooktacular Countdown at Parents Connect! Please note that this list is made up of things I actually use, read, watch, try, etc. and truly enjoy. These opinions are my own and I was not compensated in any way to share them here. 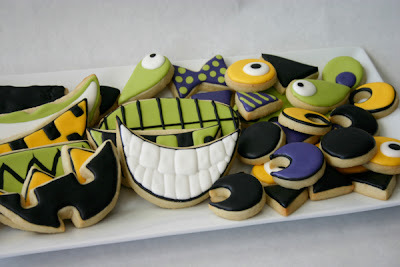 It's Day 2 of the Spooktacular Countdown at Nickelodeon's Parents Connect, and today I'm sharing some inspiration for creepy cool cupcakes. Wouldn't you just love to sink your teeth into these from The Icing On the Cake? Head on over for eight more scary sweet ideas, and while you're there, be sure to answer their daily question to be entered to win a $100 gift card to Halloween Express. See you there! 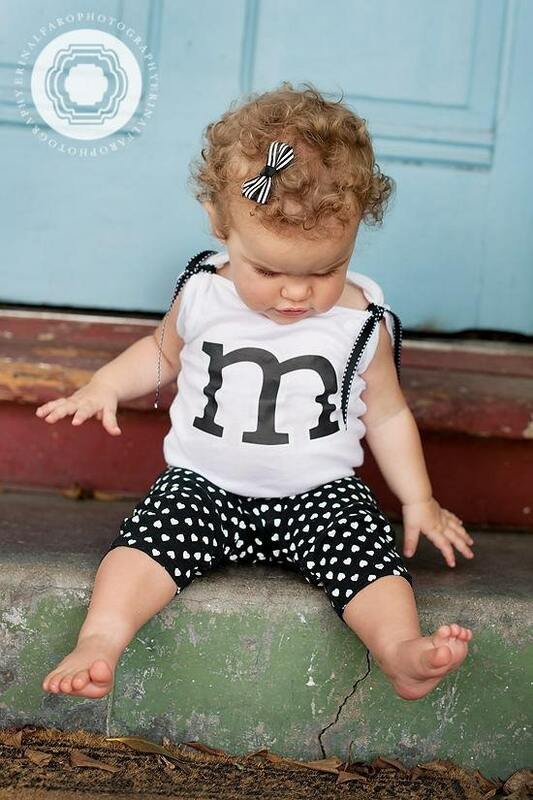 If you read AFOMFT regularly, you know I'm a fan of the tees from lilsteinstyles featuring sam-n-i, and the latest addition to their shop is as adorable as always! 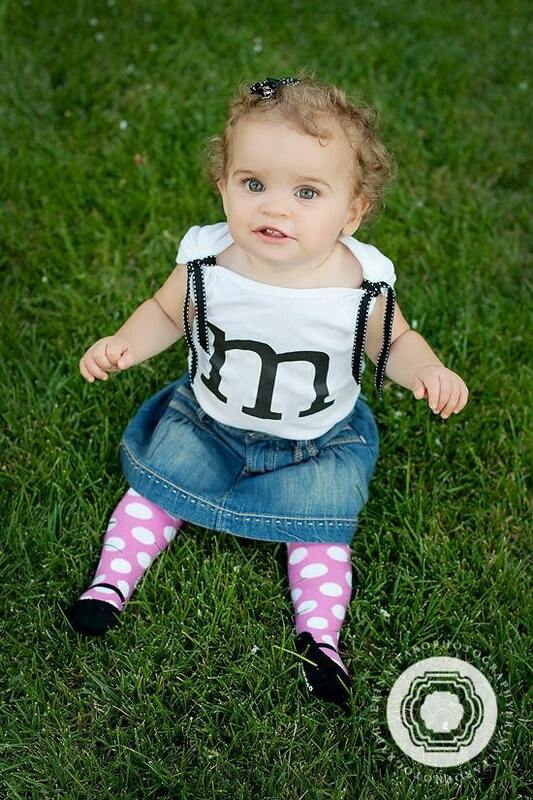 And equally darling on little divas, with ribbon ties on the sleeves! 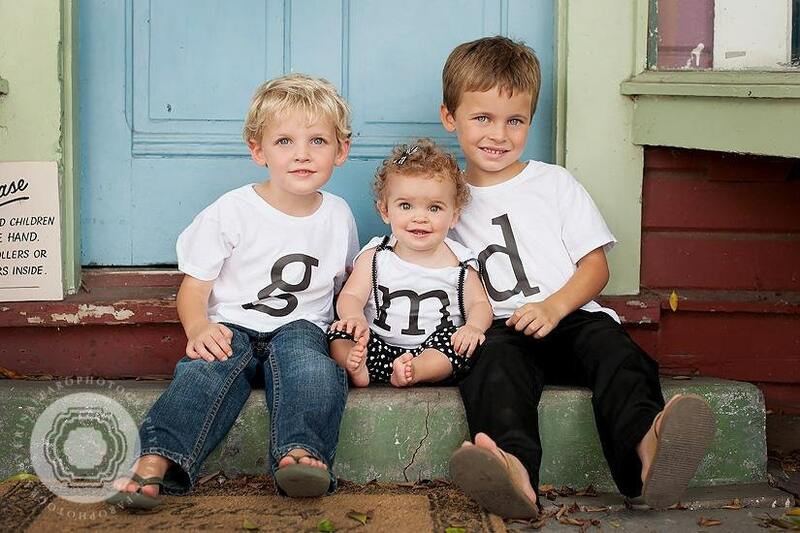 I love the idea of putting your kids in the typeset tees for family photos - it's a fun way to have them match while still expressing their individuality. They come in sizes ranging from 0-3 months to 10-12 years, and at just $13.99 each, they're an inexpensive option for gifts too! "Like" lilsteinstyles on Facebook and leave a comment that A Few of My Favorite Things sent you. Please leave a separate comment for each entry (two if you've blogged about the giveaway) and make sure to include a link to your tweet, blog post, etc. All entries must be posted on AFOMFT as a direct comment to this post. Comments on Facebook will not count as entries. This giveaway is open to residents of the U.S. only and ends October 10th at 11:59 pm EST. The winners will be selected by random.org and announced on AFOMFT on October 11th. If the winners don't contact AFOMFT within 48 hours, a new drawing will be held so be sure to check back to see if you've won! October is here and I'm spending the month over at Nickelodeon's Parents Connect sharing some frighteningly fun ideas for Halloween in their Spooktacular Countdown! Head on over to check out today's post on DIY Family Costumes, and be sure to answer their daily question to be entered to win a $100 gift card to Halloween Express. See you there! In last week's PINSPIRATION SATURDAY post, I mentioned that we're hoping to be in our new house in about a month. I spend a lot of my time these days picking finishes, hardware, paint colors, floor stains and more, and while it's a lot of fun, it's also a little stressful. What if I pick the wrong thing? What if I don't like my choice in six months? Is this tile too trendy? This wallpaper too grandma? Will it all go together? Without look too matchy matchy? As you can tell, I'm taking these decisions very seriously! I love everything about this room by Palmer Weiss, featured in Lonny. Everything. This is almost the exact color I picked for their room. The contrast with the white moulding is so pretty! Can you tell I have a thing for patterned headboards? I think they look great in pairs too. I adore the hot pink dresser and the bold mix of patterns and colors in this space. How great are these refinished nightstands? Some furniture re-purposing is definitely on the horizon for us! 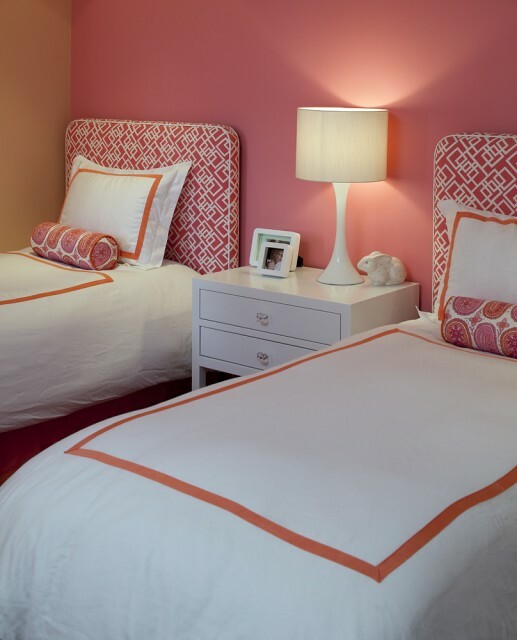 This is such a great example of how to mix patterns and create a room little girls can grow into. Could you just die from the cuteness? Gabrielle and Alaina's room just got painted and I chose the fabrics I want to use in it last week so I'll post some sneak peeks very soon. In the meantime, tell me - what does your little girl's room look like? For more kid's room projects and ideas, follow my Decor for the Kiddos board on Pinterest, and if you're on Pinterest, post a link to your profile or your user name so I can follow you too!